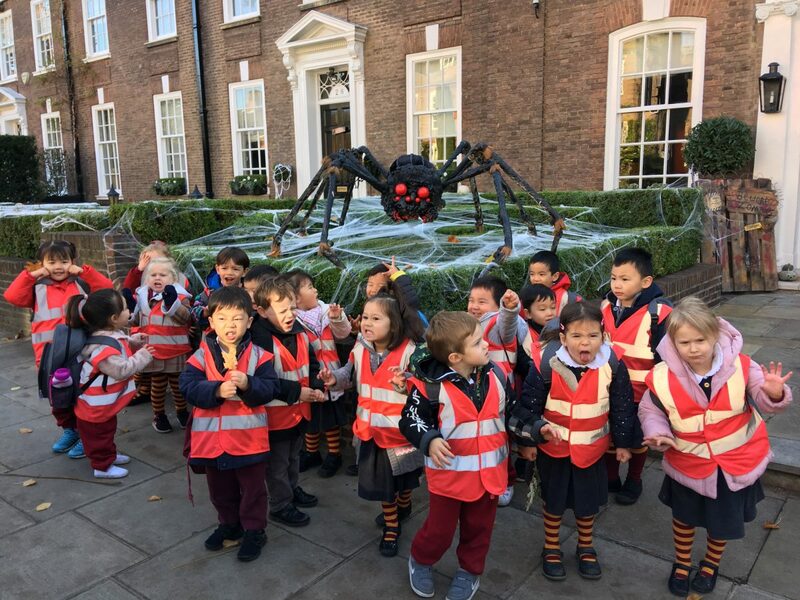 On halloween morning the Nursery children went on an “Art in the Park” trip to Holland park. The children have been learning about the artwork Andy Goldsworthy which uses all natural materials, and so went to the park to collect fallen leaves and sticks to create their own natural art. On the way back the children spotted some spooky halloween spiders!